2018 GCSE reforms mean that the new grade 7 and above is comparable to an A and above and the new grade 4 and above is comparable to a C and above. 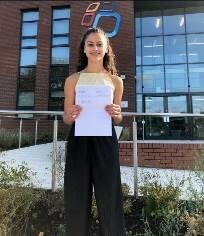 In a year where GCSE exams have been harder and more challenging, SNA students have once again scored some spectacular results. 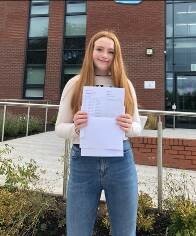 Overall, the Academy has achieved its best ever results with subjects and individual students reaping the reward for their commitment and resilience. 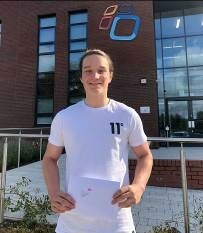 Many individual Year 11 students secured outstanding results including Robert Fish (pictured below) whose performance puts him in the top 0.2% of students nationally. 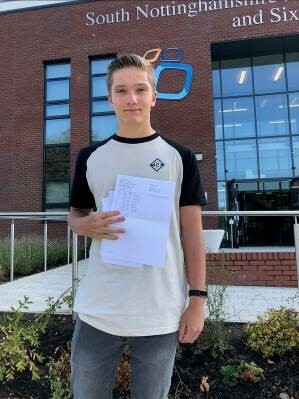 He secured 7 x grade 9s and 1 A* in English Literature, English Language, Maths, Science (x2), ICT, Spanish and Photography. Most able students thrived, particularly in English where nationally in 2017, 2-3% achieved the very highest grade 9s whereas at SNA this year, 10% achieved grade 9s. Individual subject areas continue to thrive and many were able to sustain and improve on previous high standards. Also, BTEC subjects (PE / Health and Social / Dance) all secured 100% 9-4 grades. For the majority of our GCSE students, the transition to SNA Sixth Form has already started and staff are looking forward to welcoming more students back as Year 12 students. Dora Jones gained the highest possible grade in Maths, Physics, Biology, Chemistry and Art (grade 9s) and 5 x grade 8s. Henry Carlton amazingly gained the highest possible grades in English Language, History, and Physics (grade 9s), 5 x grade 8s and 1 x grade 5. This was despite being admitted to hospital on 2nd June 2018 for an emergency laparoscopic appendectomy. Post operation and as he recovered, Henry had to sit his GCSE exams in hospital, at home and then in school. 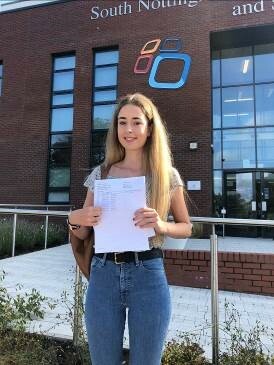 Amy Layhe gained an A* in Business Studies, 1 x grade 9, 4 x grade 8s, 2 x grade 7s and 2 x grade 6s. 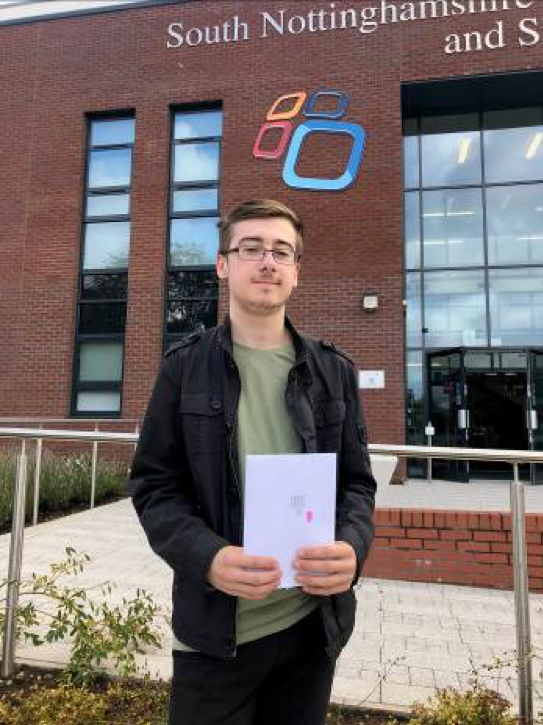 Joe Norton gained the highest possible grades in English Language, English Literature, Photography (grade 9s), 1 x grade 8, 3 x grade 7s, 1 x grade 6 and 1 x grade 5. And at the same time as finishing 5th in the English Schools Track and Field Championships 200m, Indi Malik secured 1 x grade 8, 3 x grade 7s, 2 x grade 6s and 3 grade 5s. A Summary of our most recent results are below, however you can also click here to visit the Government's schools comparison website which contains all of our schools performance data. 54% entered the English Baccalaureate and 22% achieved. In 2017 (the most recent data available) 96% of pupils stayed in Education or Employment after KS4.